After Sainsbury's announced its new corporate affairs director this week, agencies have been lining up to pitch for the supermarket's prestigious PR account. The focus of the brief is to reflect Sainsbury’s ‘Live Well for Less’ concept. Five years ago, the fight among the major grocers was to establish that they had the best quality, in a world where price was considered more or less equal – a battle that Sainsbury’s played well. Today, the war on price is such that occupying the middle ground is not a safe bet and Sainsbury’s fight against the discounters is not going so well. The supermarket ended its relationship with Blue Rubicon last year, with troubled rival Tesco turning to the agency for a reputation turnaround. Tesco has had a knock-on effect on the rest of the supermarkets, as Andrew Baiden, founder of Thirteen Communications, points out. "The whole sector has been blackened by Tesco and the supermarkets are having to re-evaluate pretty quickly." The arrival of Louise Evans in June will restore some stability to the team after Trevor Datson stepped down last month after little more than a year in the role. Datson was previously media director at Tesco. Evans’ remit is not yet known, however one industry source says: "Her main challenge is brand voice – I don’t know what Sainsbury’s stands for, what territory does it own? I always use the bag test – would you be happy carrying its bag? I don’t feel ecstatic about it." Baiden adds: "The big issue will be suppliers – how do you ensure that they are not going to be further kicked by price? Sainsbury’s can’t be seen to be squeezing suppliers. It’s a tough gig." While Sainsbury’s is not on a par with Tesco, in terms of reputation or financial performance, the group’s trading figures show that like-for-like sales for the third quarter are down 1.7 per cent, despite a successful Christmas period. The supermarket’s controversial First World War-themed advert fuelled a record-breaking week in the run-up to Christmas, with nearly 30 million customer transactions. Adrian Brady, chief executive at Eulogy, thinks Evans should replicate this. "Rather than PR challenges, now is the time for Sainsbury’s to re-steal a march on its main competitor, Tesco," he says. "It’s a great time for anyone to be joining Sainsbury’s; it’s an iconic British brand, with a great foundation to build on. Evans has got to be bold though, and come out with a really ballsy campaign." The supermarket recently announced that it has invested £150m in reducing prices on more than 1,000 products in a bid to compete with Aldi and Lidl. 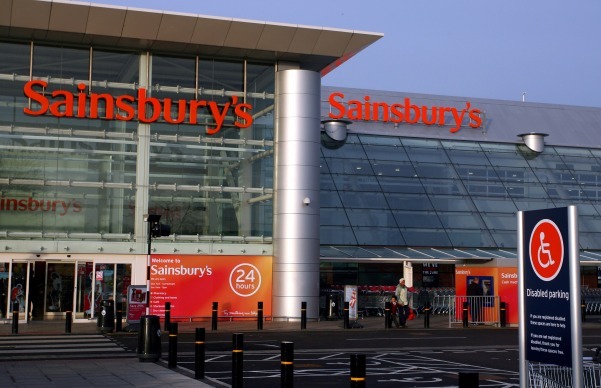 One source close to the agency pitch said Sainsbury’s needs to go back to what it is good at. The source adds: "What it has to do is find ways of convincing mums that Sainsbury’s offers great value – it has done all it can on pricing with its £150m "investment" in better prices. Now it needs to try to wrestle the narrative back on to quality – its home turf."